The Lower Neches Valley Authority provides for the present and long term freshwater needs of municipal, agricultural and industrial customers, protects water quality in the Neches River and Coastal Basin, insures affordability of the water supply, and enhances economic development in the Authority’s jurisdiction. The Lower Neches Valley Authority is one of the 23 River Authorities created by the State of Texas to develop and manage the waters of the State. Each of these River Authorities was granted powers to conserve, store, control, preserve, utilize and distribute the waters of its respective area for the benefit of its residents. The State Legislature, in 1933, granted authority to LNVA to operate within Tyler, Hardin, Liberty, Chambers and Jefferson Counties, located within the Neches River Basin and the Neches-Trinity Coastal Basin. The Neches Basin is located in East Texas. The watersheds of the Neches River and its tributaries occupy an area of approximately 10,300 square miles. The river rises near Colfax, Texas and flows generally southward for a distance of 416 miles before entering the coastal estuary, Sabine Lake and ultimately into the Gulf of Mexico. The area receives generous amounts of rainfall, producing stream flows in the Neches and its tributaries of around 5,600,000 acre-feet of water a year at its mouth at Port Arthur, Texas. The Basin is generally rural in nature, for the most part heavily forested, and Beaumont is its only city with population over 100,000. Among the remaining cities (from north to south) are Tyler, Jacksonville, Palestine, Nacogdoches, Lufkin, Jasper, Woodville, Silsbee, and Port Arthur. In Sabine Lake, Neches River waters combine with waters of the Sabine River. Together these large, combined streams flow through the deep water Sabine-Neches Ship Channel, Sabine Lake and surrounding marshes into the Gulf of Mexico at Sabine Pass, Texas. Saltwater from the Gulf customarily intermingles with the freshwater sources in Sabine Lake, producing brackish to salty conditions and a haven for both freshwater and saltwater fish and shellfish, as well as waterfowl. 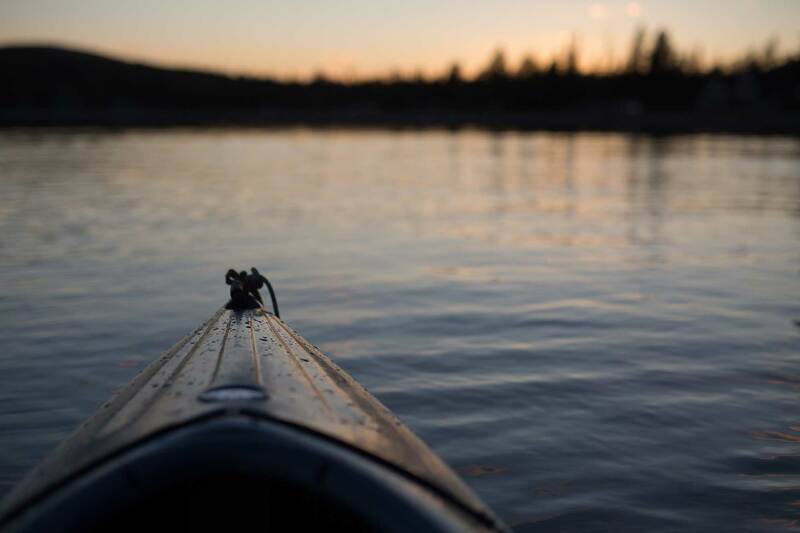 The quality of the Neches River freshwater is excellent for all beneficial uses and is the source of supply for cities, industries and farms throughout the basin. Around the turn of the Century, most of East Texas was concerned with conservation of soil and water, drainage, control of floods and navigation, channels, reforestation and promotion of recreational facilities. The area within the Lower Neches Basin during this period was largely agriculturally oriented. In the northern counties of the district, cotton, potatoes, oats, tomatoes and hay were the principal crops. In the southern counties, rice was the crop of choice because of the heavy, dense soils found in that area and the abundance of freshwater. The central counties supported a thriving timber industry. Beef cattle production was also gaining importance. Throughout much of the basin were numerous oil and gas fields. Indeed, East Texas is the cradle of the modern oil and gas industry. The Beaumont-Port Arthur area became the oil refining capitol of the world, when six major oil refineries prospered within Jefferson County. To provide access to world wide markets for products from these refineries, the Neches River was deepened and straightened to the Gulf of Mexico for ocean-going vessels. Ironically, the deepwater channel, which was so valuable to the development and prosperity of the area, also posed a threat to the freshwater supply. Saltwater from the Gulf of Mexico moved inland to the freshwater intakes of the cities, industries and farms. This problem created the need for an organization that protected the freshwater supply and increased the availability of water through storage and distribution systems. To accomplish this, the 43rd Legislature of the State of Texas in 1933 created the Lower Neches Valley Authority as the second River Authority in the State. In September, 1936, shortly after the creation of LNVA, a public hearing was held in Jacksonville, Texas to recieved comments and proposals regarding regulation, conservation and utilization of the waters of the Neches River system as well as the control of floods. It was emphasized that LNVA had investigated the problems and were developing a plan designed to address these type issues in the lower Neches River basin. LNVA’s plan included construction of a large reservoir on the Neches River near Rockland and a regulated dam near Town Bluff for the purpose of storing water and regulating the flow of the river. To deliver the stored water to its area of need, LNVA proposed to build a canal to transport water from these reservoirs to consumers within Jefferson, Liberty and Chambers Counties. The majority of these consumers were rice farmers, but it was clear that the burgeoning industrial water demand faced critical needs, which must be met to assure the industries’ future and to support their employees. 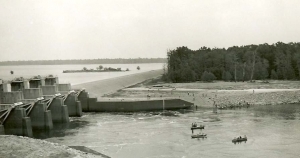 Upon assurances that it would furnish a share of the cost of the Federal project costs, LNVA was named local sponsor of the Neches River Basin reservoirs and furnished $5,000,000 of the construction costs of McGee Bend Reservoir (now Sam Rayburn Reservoir) and Dam B (now Town Bluff Dam and B.A. Steinhagen Reservoir.) LNVA also agreed to contribute $200,000 a year toward the cost of reservoir operations. 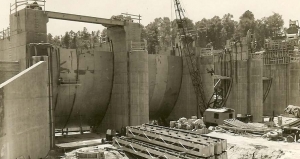 Construction of Steinhagen Reservoir began in 1947 and was completed in 1951, The reservoir made a significant improvement in the dependability of stream flows in the lower basin, but it was never intended to be a stand-alone water supply reservoir because of its small size and the increasing demand for fresh water. 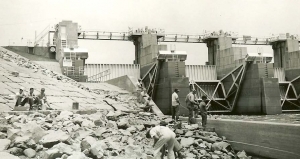 Shortly after Steinhagen’s completion, construction of Sam Rayburn Reservoir was initiated and impoundment of water in the completed reservoir began in 1965. Sam Rayburn and Steinhagen Reservoirs are owned by the U.S. Government and operated by the U.S. Army Corps of Engineers, Fort Worth District. Local financial sponsorship is provided by the Lower Neches Valley Authority. Water stored in Sam Rayburn for use by LNVA is released to Steinhagen (Dam B) Reservoir, from which it flows into the lower Neches River and on to the LNVA freshwater intakes. LNVA has State-approved rights to the use of essentially the entire dependable freshwater yield of Rayburn Reservoir, approximately 820,000 acre-feet (or 267 trillion gallons) a year. This volume not only meets current demands, but is expected to be sufficient to meet the projected needs of the lower Neches Basin far into the 21st century. In releasing freshwater through Rayburn’s and Steinhagen’s powerhouses, electrical power is generated for use in homes and industries within the area. Delivery of fresh surface water by the distribution system is performed by withdrawal of the water from the lower Neches River and Pine Island Bayou by 21 very large pumps. They can each deliver between 20,000 and 110,000 gallons a minute and can pump a total of over one billion gallons of water a day. The pumps are driven by huge, natural gas-fueled engines in providing the freshwater to 8 cities and water Districts, 26 industries and over 100 irrigated farms. The water is lifted into the canal system to a height which will permit its delivery throughout most of the 400-mile canal system without further pumping. Water deliveries are made to cities, industries and farms on a continuous, 24-hour a day, seven day a week basis. The canal system covers an area of approximately 700 square miles, principally within Jefferson, Liberty and Chambers Counties. Increase the economic vitality of the Neches and Angelina River Basins as it relates to the overall mission of the Lower Neches Valley Authority. Funds to cover the activities of the Economic Development Program are generated from a 1-cent rate per 1,000 gallons on raw water sales to Industrial and Municipal customers. Economic Development activities for Public Outreach/Marketing, Technical Services and Economic Growth will be reviewed by the Business Development Committee and presented in writing for action by the Board on a project-by-project basis at least 48 hours in advance of the next Board meeting. If the notice period cannot be met, the item will be submitted at the next regularly held Board meeting. This paragraph takes precedence over any apparent conflict by other paragraphs that follow. Low-interest loans shall not exceed $100,000 per project for construction of water and wastewater infrastructure improvements. The Board of Directors will establish interest rates. Project applications will be reviewed based on an approved rating system by an evaluation team designated by the Business Development Committee. A recommendation will be submitted to the Board for action at the next regularly scheduled Board meeting if the 48-hour notice can be met. Low-interest loans or grants shall be approved on a case-by-case basis where the project improves water availability, water quality, water management, or enhances economic growth within the Authority’s jurisdiction. These special assistance projects shall not exceed $50,000 per project and shall be reviewed by the Business Development Committee and submitted to the Board of Directors for action at the next regularly scheduled Board meeting. If the 48-hour notice cannot be met, the matter will be scheduled for the next Board meeting. The conduct of projects provided funding under this program shall be in accordance with all applicable state and local statutes, rules, regulations, and guidelines. Water/Wastewater Infrastructure Improvement Assistance – Low-interest loans shall not exceed $100,000 per project for construction of water and wastewater infrastructure improvements. The Board of Directors will establish interest rates. Project applications will be reviewed based on an approved rating system by an evaluation team designated by the Business Development Committee. A recommendation will be submitted to the Board for action at the next regularly scheduled Board meeting if the 48-hour notice can be met. Private enterprise projects within the LNVA service area. General and special law districts created in accordance with state law, and with the authority and responsibility for water supply, wastewater treatment, water quality protection or municipal solid waste management and located within the Neches River Basin and the Neches-Trinity Coastal Basin. Entities within the Neches River Basin and the Neches-Trinity Coastal Basin where regional solutions meet the areas needs. Council of Governments (COG’s), institutions of higher education or other governmental entities within the Neches River Basin and the Neches-Trinity Coastal Basin. 1. Community Distress – does this project improve a serious water-related health problem or move an “out of compliance” system into state or federal regulation compliance? 2. Project Impact – is this project a new system or expansion of an existing system? Does this project meet long-term needs and how will it be maintained? 3. Match to LNVA mission – does this project match LNVA’s mission to improve the water availability, water quality and water management of the Neches River Basin and the Neches-Trinity Coastal Basin? 4. Local Commitment – does this project show local commitment of the community or service area involved? How many local resources are being committed? 5. Grant Status – what is the status of the federal or state grant application that these funds support? A project application form must be submitted to the Lower Neches Valley Authority for consideration of funding assistance. Financial reports and a list of outstanding loans will be required to apply for any of the programs. Low-interest Loans – Recipients will be required to enter into standard legal agreements with the Lower Neches Valley Authority, to ensure that the approved work project of the program is followed. Local Match Grants – Grant funding may be provided after proof of expenditure or paid directly to the funding entity. 1. Agree to provide data related to the results of the funded project to LNVA. 2. Agree to allow representatives of LNVA to perform on-site visits to monitor the progress of funded projects.